Third Eye Blind sets sights on CMCUA Reviewed by admin on June 18, 2017 . We are no stranger to this band, are you? If so, what rock do you live under?! Third Eye Blind has been around since the early 90s with many smash hits that stalk you still if you listen to the radio. The radio-friendly band always has a knack for tackling issues we tend to shove to the outskirts of conversations; topics that are found in many other songs, yet can only be communicated in true, 3EB fashion: drug use, mental illness, and the many faces of heartbreak. 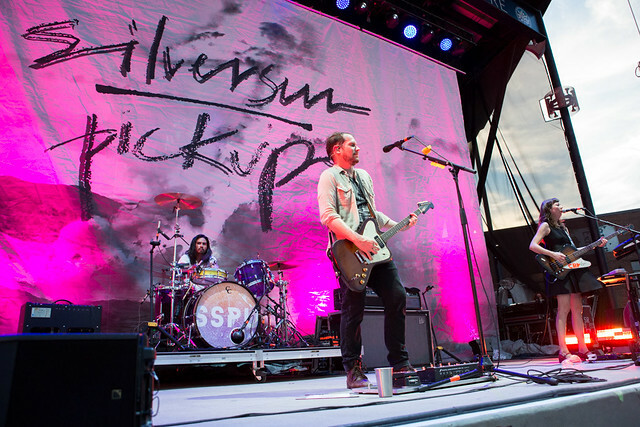 Tagging along on the anniversary train is alternative rock heavies Silversun Pickups. Nikki Monninger’s electric bass-tones vocals and killer stage presence knocked the show into overdrive from the beginning, as if anyone was surprised. The band has been in existence for almost two decades and the tight, well-performed set they provided Charlotte is a prime example of the mastery they’ve achieved. 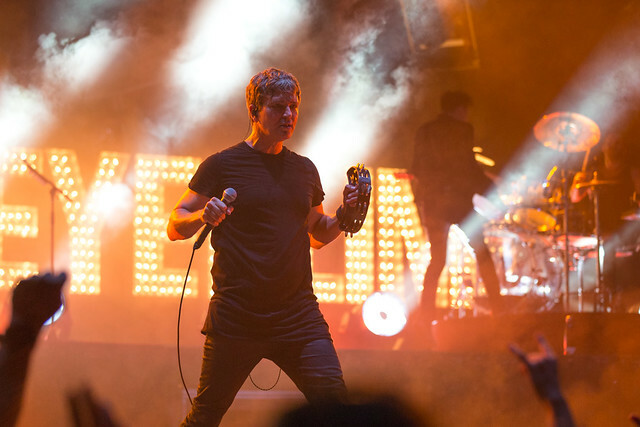 Though their last release was 2015’s Better Nature, it was more than fitting for the quartet to play a variety of songs from their four-album discography, as Third Eye Blind is currently on their 20th anniversary tour. Why not play a few oldies for the long-time fans, right? Through the clouds of nostalgia, we can only hope that the band is on its way to dropping a Beyonce-level secret album and gift us with another tour. Celebrating “20 years in the blind,” Third Eye Blind are making music history with their Summer Gods Tour. It takes a cocktail of courage, integrity, and a generous pour of patience to remain in a band for 20 years. It’s a whole different course when a band can manage that and create truly honest music with a purpose. There’s a difference between a two plus decade band who just makes music and a two plus decade band who actually creates art. Third Eye Blind’s last release was 2016’s We Are Drugs, but the best part of anniversary tours is that we get a perfectly blended mixture of the band’s greatest songs from the past two decades, with perhaps a deeper focus on the older tracks. There’s nothing quite like getting swept up in those dang clouds of nostalgia I mentioned earlier, huh? From “Horrow Show” to “Semi-Charmed Life” to “Motorcycle Drive By,” it’s easy to understand why the CMCU Amphitheatre occupants were all a bit misty-eyed. Charlotte was only the sixth stop of the three month tour, which gives you plenty of time to catch a show, though I wouldn’t wait too long to grab those tickets. Let the nostalgia cloud sweep you up and take you to Ticketmaster to grab a pair of tix! See full gallery of the show here.